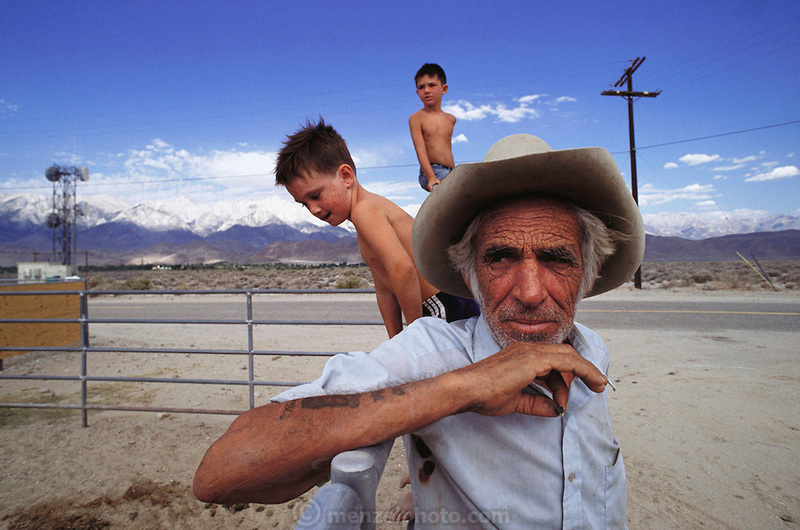 Gene Churchill, rancher near Lone Pine Station, California (photographed with his sons, Travis, 6, and Grant,4 and his horse, Ringo). He was raising his two sons alone since his wife was arrested 18 months earlier for drugs and prostitution. Route 395: Eastern Sierra Nevada Mountains of California. MODEL RELEASED.